Time to polish that magic lamp! Just three wishes? Not for your birthday party princess! Kids Kustom Parties will grant all your child’s wishes with any one of our birthday party packages: gold, silver, or bronze. 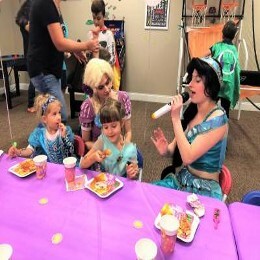 We’ll thrill your young princess and her guests with a birthday party that will rival the excitement of a magic carpet ride. Aladdin and Princess Jasmine will delight your gold-package guests with their singing and dancing. Plus, your child and all her friends will get to wear princess dresses too. We offer capes and masks for the boys. 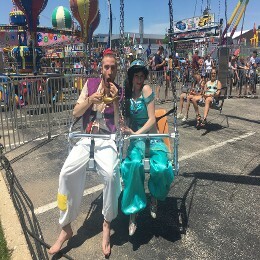 Princess Jasmine and Aladdin can ride their magic carpets to your location. 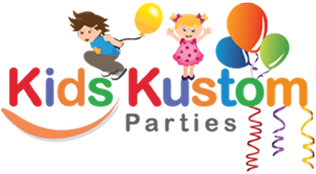 Learn more about how our kid's party characters can come to your venue. For an additional fee and more kids entertainment, balloon artists, jugglers, or face painters can also charm your party guests at any party. Your guests can also enjoy our popcorn machine or snow cone maker for an additional fee or a swap item. Princess Jasmine falls in love with Prince Ali in the Disney film, Aladdin. Aladdin is a Middle Eastern Folk Tale. 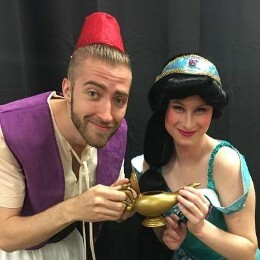 It is one of the tales in the story of Aladdin and the Magical Lamp in the book of The Thousand and One Nights also known as The Arabian Nights. Antoine Galland was the first European translator of the Arabian tales in the 18th century.